"The St. Louis Public Library will provide learning resources and information services that support and improve individual, family and community life." This policy is intended to provide broad overall guidance to those who deliver reference service. The delivery of reference service requires the Library staff to be knowledgeable, approachable, sensitive, courteous, and efficient. Quality reference service depends upon effective interviewing, attentive listening, and connecting customers with resources that will answer their information needs. Every request for reference assistance is considered legitimate. This policy recognizes the need to maintain flexibility in the delivery of reference service. It is appropriate to adapt service to meet individual customer needs. St. Louis Public Library reference and information services should satisfy customer’s information needs either by using sources on hand, or by referral to resources located elsewhere. Personal opinions are not a part of reference assistance. Reference service is the assistance given to customers in pursuit of information. Reference includes providing help with the catalog and library computers, reader’s advisory service, database and online assistance, bibliographic verification, interlibrary loan assistance, referral services, research assistance, school assignments, consumer information, and individual and group instruction. 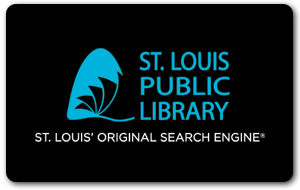 The St. Louis Public Library will provide reference service to all its customers on an equal, nondiscriminatory, and nonjudgmental basis without regard to the race, national origin, age, gender, sexual orientation, background, appearance, or personal view of the customer making the inquiry or the subject matter being researched. With few exceptions, customers do not need to be registered St. Louis Public Library cardholders to use Library facilities or reference materials and services. A current St. Louis Public Library card may be required in order for the customer to use certain library resources including the Library’s public-use computers and to access the Internet. The Library recognizes that its records identifying the names of library users with specific materials, computer database searches, interlibrary loan transactions, reference queries, requests, or other specific uses of the library are confidential in nature. This information will be disclosed only upon the request or consent of the individuals or groups whose library privileges are directly affected or pursuant to a court order that shows cause and is in proper form as required by local, state or federal law. Library staff will immediately refer the request for information on reference transactions to the Executive Director, or the Library’s designated Information Officers. The Executive Director, upon receipt of a court order, shall provide such information as allowed by law. All staff are expected to honor the confidentiality of reference questions. Failure to do so is grounds for dismissal. The reference interview is used to help define customer needs and to answer customer questions. Staff will begin reference transactions with verification of customer needs. The structured discussion that follows should clarify questions to be answered and the best way to provide the customer with information requested. Staff will provide a full citation of the resources used or recommended to the customer. Staff will also make referrals to other SLPL units or outside agencies as needed. The reference transaction will conclude with verification that the information need has been met. The St. Louis Public Library responds to all requests for reference and information services whether made in person, by telephone, mail, fax, or electronic means. Individuals present in the building take first priority for service over telephone calls or other communications with exceptions noted under Specialized Services. Research assistance involves the in-depth coverage of a topic. The level of research assistance provided varies according to the availability of staff, the staff and customer’s knowledge of the subject, the volume of other customer requests, the depth of the collection, the complexity of the question and the time frame in which the information is needed. Lengthy research for individual customers which requires extensive staff time to collect data from multiple sources, including bibliographic searches, electronic searches, copying of materials and collating items, is not normally provided as part of the St. Louis Public Library’s research assistance. In providing reference service, staff will consider the system’s entire collection and staff as resources. Information and materials at all locations can be shared via fax, photoduplication, lending for circulation to users or in-house usage, and telephone or e-mail service. Questions beyond the expertise of a staff member, or beyond the resources of that library unit, will be referred to a colleague, the unit manager or another unit within the library system. If it is not possible to find the information within the sources available through the St. Louis Public Library system, other libraries, agencies and community resources will be consulted. St. Louis Public Library offers basic instruction in the use of bibliographic and reference tools, whether print or electronic. This instruction may be provided to individuals or groups. In the normal course of reference assistance, customers are not required to learn how to use source materials and technologies. However, in some cases, staff will need to instruct customers on how to use the tools and technologies to meet the customer’s information needs. Staff will offer group orientations and instruction in the use of the library catalog, electronic products, and other resources. Staff may conduct tours appropriate to the age and interests of a group. The size and number of group tours conducted are dependent on the resources of the location and the availability of staff. Groups with scheduled appointments receive first priority of service. QUIC (Question and Information Connection) is the only unit that is dedicated exclusively to answering telephone queries. The information need will be filled within a few minutes from basic reference sources within the unit or referred to the appropriate subject area. WebRef is the service that responds to requests for reference assistance received via computer. These virtual reference requests are received in the Information Center, answered, or referred to the appropriate subject area. Homework Helpers assist elementary, middle, and high school students with a variety of school assignments. They can help students understand assignments given by teachers. However, interpretation of the teacher’s instructions, and completion of assignments, is the responsibility of the student. Assistive technology is equipment or products that are used to increase, maintain, or improve functional capabilities of persons with disabilities. Use of assistive technology, such as screen enlargement software and reading machines, aids staff in providing reference assistance to persons with disabilities. The extent of assistance that can be provided is affected by the nature of the disability. The Assistive Technology Center in Central Library provides information to customers and staff in the use of the equipment in the Center and designated technology in other locations. When further assistance is needed, staff will make referrals or consult with area agencies and organizations. Library staff attempt to answer all questions. However, some limits have been established for types of questions and services beyond the scope and expertise of the public library. Published price guides for art works, antiques, rare books, coins, stamps, currency and other collectibles are available for customers. Staff will not provide appraisals of such works. While library staff may offer listings of appraisers or vendors, personal recommendations will not be made. Staff may provide addresses and telephone numbers to the public, where the name of the individual, company or organization is known. This type of information is available from telephone books, print directories, electronic products, and the Internet. However, when the customer seeks "reverse information" (where the customer has a phone number or address, but not the name) or "nearby" information (where the customer has an address and wants to know who lives next door), staff does not provide the answer over the telephone. If the appropriate directory is in the collection, customers will be advised to visit the library. If the library does not have the directory desired, staff may refer the customer to an alternate source. Staff will provide customers with basic orientation to computer hardware and electronic products available on the Library’s computers. Library staff is available to assist users with basic machinery problems and answer simple questions regarding the electronic products. Depending on schedules, Public Technology Assistants (PTAs) may be available to work one-on-one with the public and library-supplied technology. However, in general, library staff cannot provide individual in-depth computer training, technical assistance or solve compatibility problems. When further information is needed staff will refer customers to pertinent manuals, other library resources, and the computer classes offered through the Training Department. Staff may provide assistance in locating reviews, instructions, or other information about computer software or hardware. Library staff is limited in their ability to assist customers in solving problems with their own personal computers. If the library does not have the information desired, staff may refer the customer to an alternate source. General assistance with the resources of the genealogy collection is provided; however, the Library does not trace complete family histories or conduct in-depth research for customers. An indication of whether or not requested genealogy information appears in an index or in the Library collection may be given over the telephone, by mail, fax, and by other electronic means. Staff may respond to medical, legal or tax questions by reading directly from the cited source or inviting the customer to use the Library’s resources in person. Staff must not offer advice, interpretation, recommendation, opinion or personal experience, which is the domain of trained legal, medical, or financial professionals. Questions involving intellectual property (law that involves patents, trademarks, and copyrights) may be addressed by offering the customer assistance with the tools needed for a preliminary intellectual property search. Staff cannot perform the search for the customer or advise the customer regarding intellectual property matters. Staff helps customers in locating mathematics or scientific formulas, but they do not attempt to solve problems or equations. Staff does not provide private tutoring. Referrals to appropriate literacy providers or community agencies will be offered. Tutors may arrange to meet with students in library space, as it is available. Staff does not critique or edit customer manuscripts or resumes for job seekers. Referrals will be made as appropriate. Staff responds to customers’ requests for translations of words and phrases by using appropriate sources. Staff translations of text material that would require considerable time or that are beyond the level of staff expertise will be handled via appropriate referral.